Autumn what a lovely season to be in. The maple leaves turn from green to light brown and eventually turning bright orange. Some leaves are still green and I see all sorts of colors from red, pink, brown, black, blue more like indigo or fuchsia. Okay, enough about daydreaming. I would not get to see that because the desert that I’m at has no maple trees. Furthermore, it’s getting cold. Don’t forget to keep warm. I don’t need to tell you that. All those leaves would probably end up in a shredder or wood chipper for making mulch for my vegetable garden and herb garden. I don’t really want to kill autumn but I have no choice. I am aiding and abetting with mother nature. We are cleaning up for winter’s arrival. I’m no killer, she is. Funny it looks nothing like “it” I told my mom that. She said oh it’s because “my cousin’s wife touched it and when I gave it to you I touched it.” Then why did she said only my husband or man can plant the seeds and care for it alone? Gotta love my mom, she’s a weirdo. Huh, that’s why I’m weird oh well. A shredder or wood chipper that does what you want. Hearing protection it does get loud. Always keep hydrated even if you don’t need it. I must say this little shredder works quite well. It can shred or chip up to 1.5 inch thick twigs, stems, and leaves. I used the mulch in my garden for a nutrient-rich garden mulch. My sandy soil needs all the help it can get. Because it is sand all the good nutrients filtered out too quickly. Great for trees fruit trees like citrus trees fertilizing and flower beds. At this time of year, you would want to use mulch to cover your perennials from frost and snow. 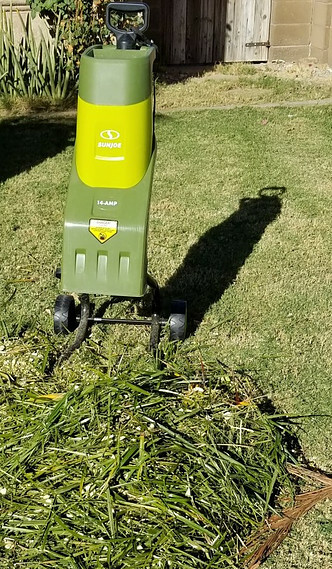 The sun joe has a 14 Amp 4300 RPM so it’s really powerful to work in your yard and lawn. The safety feature is the safety hopper locking knob prevents the engine from operating when open and a reset button if the chipper is overloaded. Clean up the yard is simply as it can be. Use the mulch in your yard, garden, and trees. No bad trash all good trash that turns into mulch, gold for your garden. It comes with a paddle for when the twigs or branches refuse to go in you can use the paddle to push them in so it can be grab. What’s great about this little guy is that it mulch, shred, chips, and compost. Composting is what they call black gold for your vegetable garden and that’s what I need. I got what I need in this little over 25 lbs mean machine. Mulching some greens chip some dry wood to clean it up. Then voila done. Read here on how to make your own compost. At the end of the day. I have mulch that my vegetable garden desperately need. My work has been cut in half and now I am enjoying my tea. 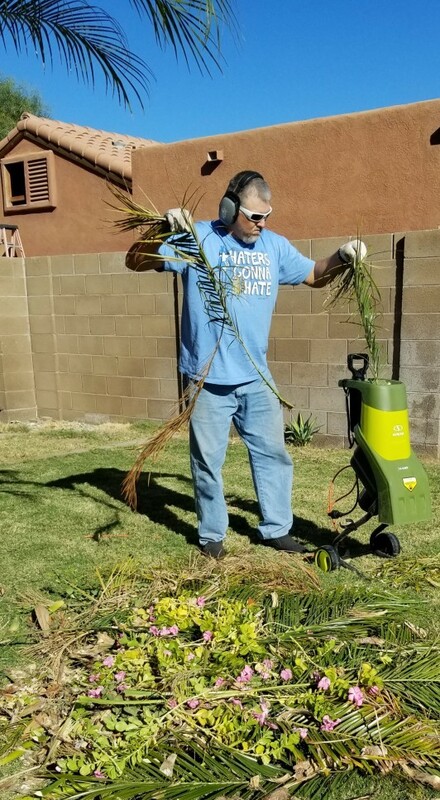 If you need a little machine that won’t take up too much space and work as hard as you get the 14 Amp sun joe shredder/chipper by Snow Joe. It also makes a great gift for that special person.